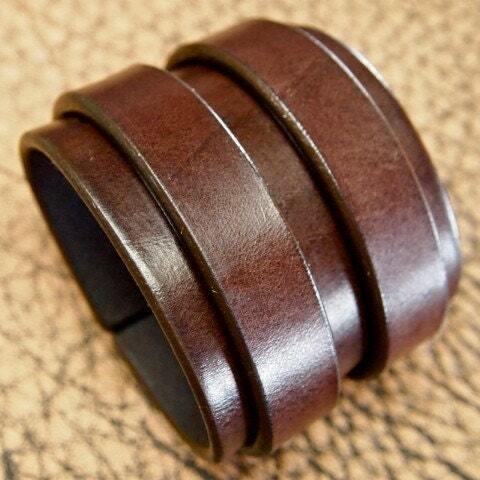 This brown leather cuff bracelet is made from 9 oz rich brown American bridle leather. It is hand worked, edged and polished to perfection. 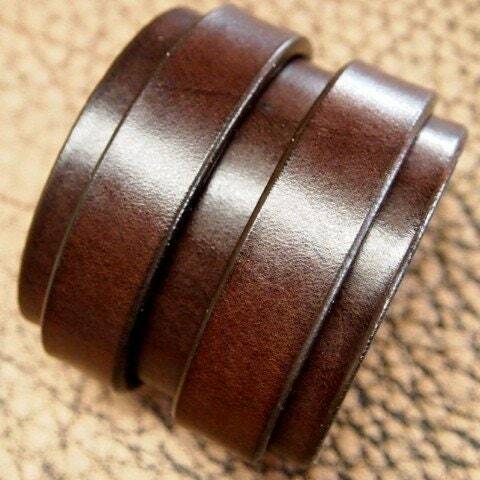 You will love this cuff! 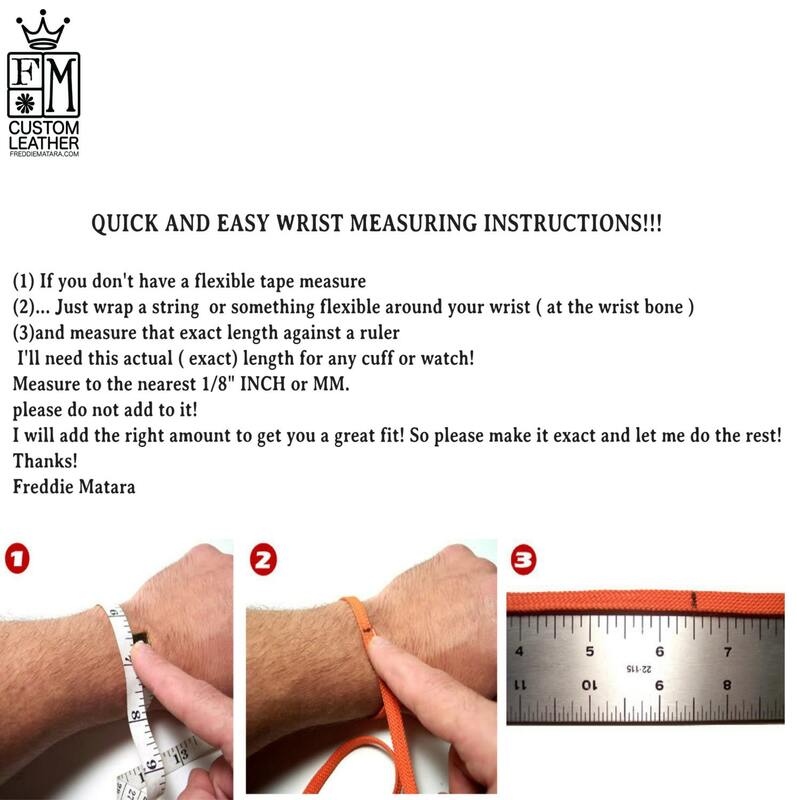 I need a wrist size! Instructions in the pics above! 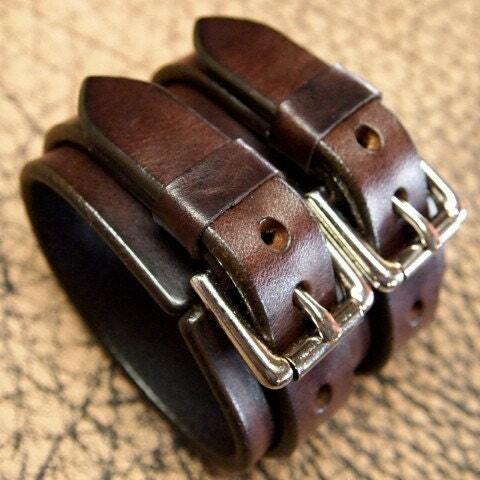 Best leather bracelets on the Internet period. These things are rugged, durable, and look great! I get compliments on mine all the time. Just bought this one to replace my last one. My last one lasted for over 5 years being worn everyday on a guy who works with his hands. Worth every penny!